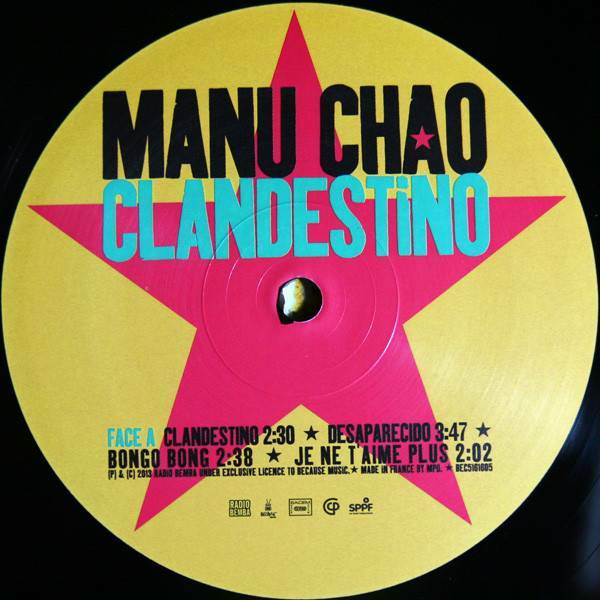 2013 EU reissue on 180g 2LP+bonus CD=The former Mano Negra frontman's debut solo masterpiece, 1998's Clandestino is still one of the best-selling French albums of all-time. 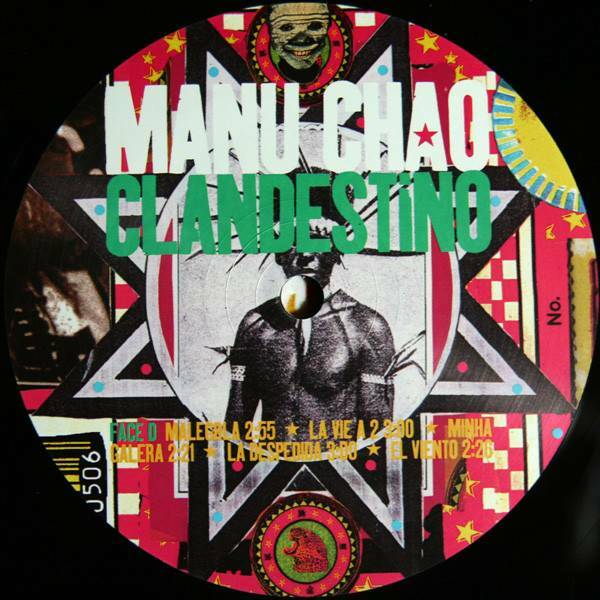 Clandestino is a total immersion of the body and soul, a charming 16-song set with one song in English, one in Portuguese, two in French, and twelve in Spanish. 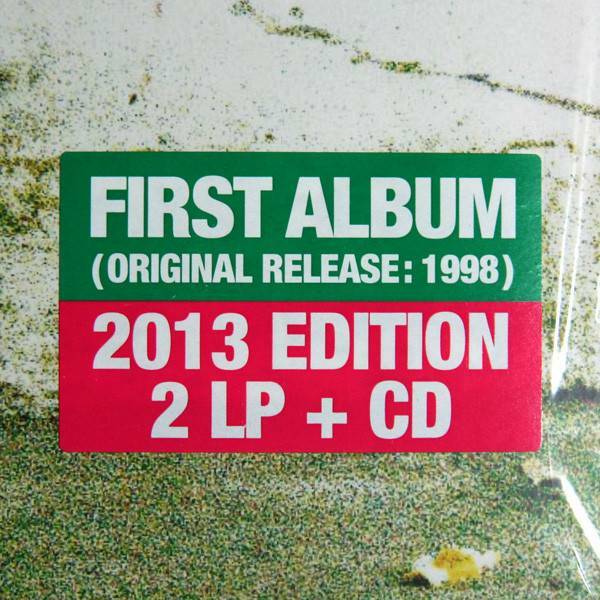 Includes the playful fan favorites "Clandestino," "Desaparecido," "Mentira" and "Bongo Bong" among many more. 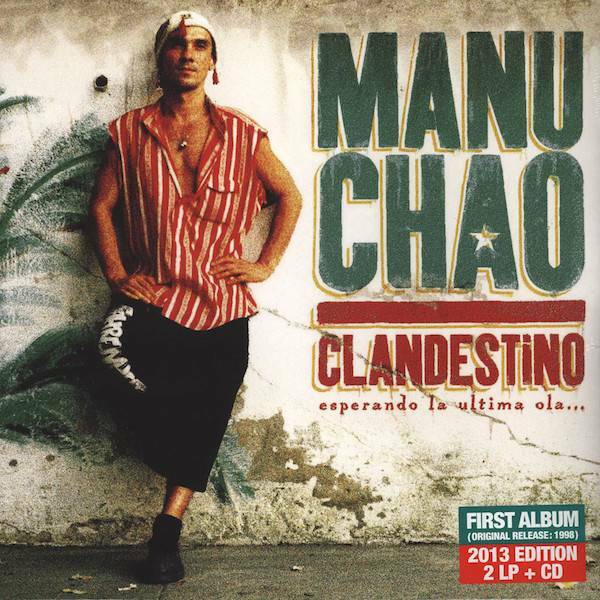 A musical globalista with a rebel rock 'n' roll heart, there's nobody quite like Manu Chao. 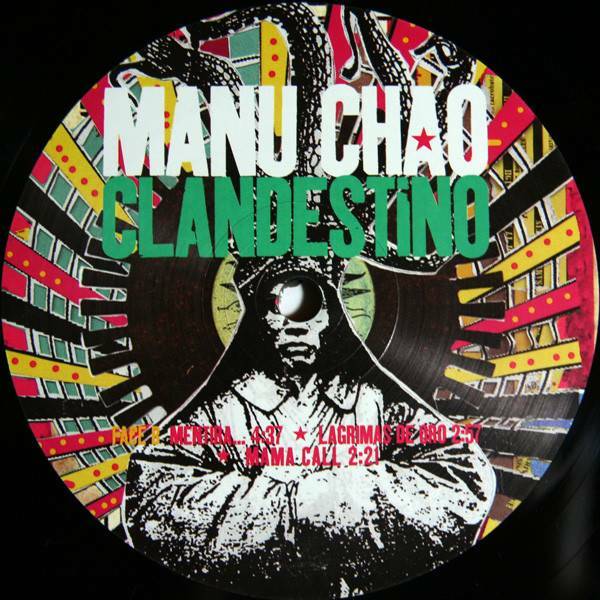 Multilingual and multicultural, Manu has been called the natural heir to Joe Strummer and Bob Marley and serves as an inspiration to the world's downtrodden and dispossessed. A huge star in Latin America and elsewhere, he draws audiences in excess of 100,000 strong around the globe. 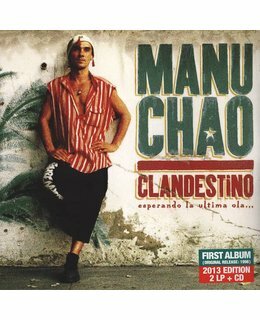 The former Mano Negra frontman's debut solo masterpiece, 1998's Clandestino is still one of the best-selling French albums of all-time. 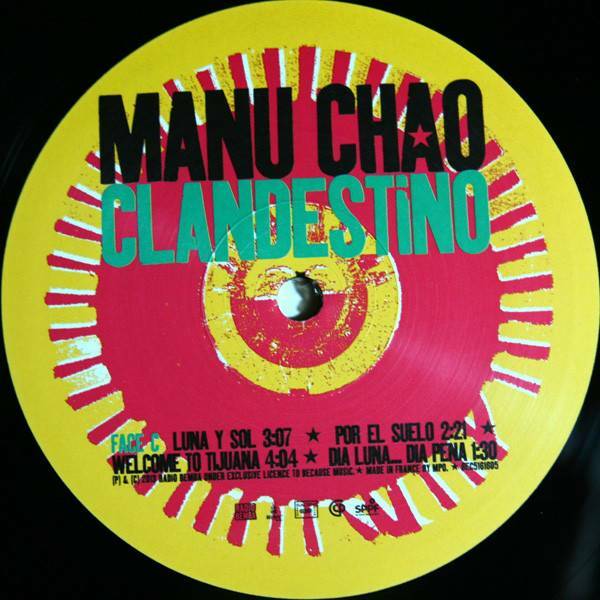 Clandestino is a total immersion of the body and soul, a charming 16-song set with one song in English, one in Portuguese, two in French, and twelve in Spanish. 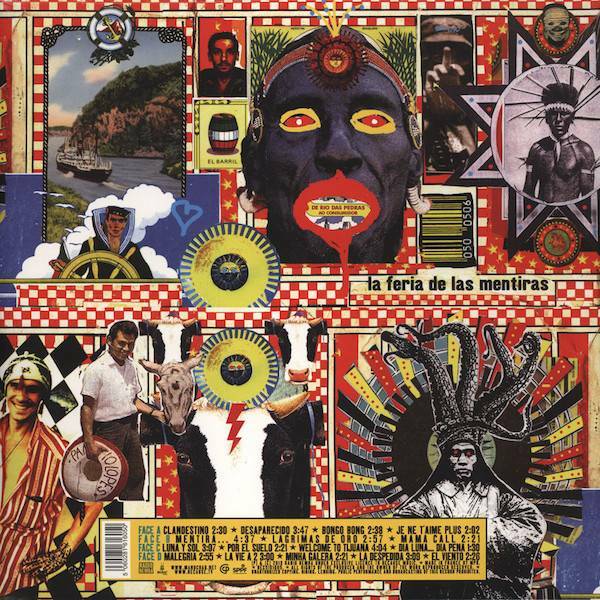 Includes the playful fan favorites "Clandestino," "Desaparecido," "Mentira" and "Bongo Bong" among many more.